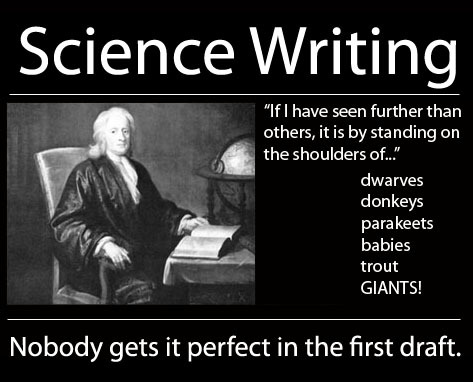 Students in my technical communication classes often ask me for good resources on science writing. I get the question so often, in fact, that I decided to catalog great resources for reference. I understand why students (and scientists) could find writing about their work so difficult. Great science writing translates very technical, complex concepts into language that makes them both coherent and engaging. Science writing must conform to concrete genre standards (a journal article, a lab report) without diluting the sense of wonder and excitement that a good experiment provokes. In formal science writing, experiments must be described meticulously enough for other researchers to replicate. Many terrific resources also exist to help science writers master an engaging style. For instance, Steven Pinker’s gave a recent lecture at MIT on effective science writing. MIT Video – Communicating Science and Technology in the 21st Century: Steven Pinker. Psychology Today blogger Kathleen Taylor wrote a terrific post about how good writing and good science should be inseparable; in it, she provide plenty of samples to illustrate her point. And many scientific writers have benefited from The Science of Scientific Writing and How to write consistently boring scientific literature since the pieces were published. More controversially, Megan d. Higgs at American Scientist argues that scientists should ban the phrase “significant” from their writing because of the various connotations of the term. For even more guidance, check out the frequently updated National Association of Science Writers page. And finally, get writing! Nothing beats practice in developing your writing skills. For inspiration, check out the pieces at the Guardian’s Science Writing Prize page.